Around the United States, the temperature is dropping and this time Florida decided to join in. 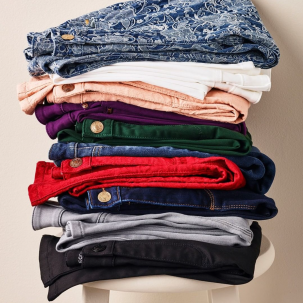 Lucky for Village shoppers, Chico’s has a number of styles to keep you warm all while keeping your wardrobe colorful, fashionable, and fun! In cooler weather, sweaters and cardigans are a must. 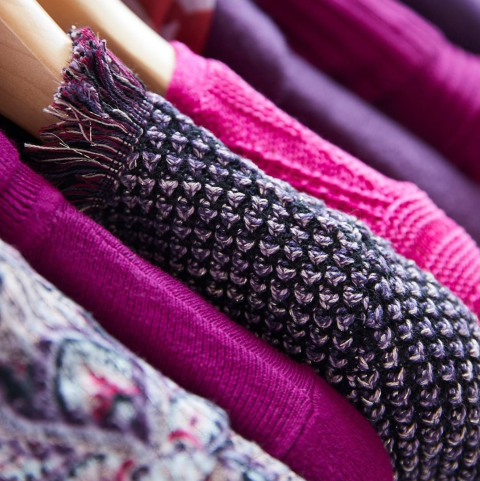 Chico’s sweater selection comes in a number of styles – drape front, button shoulder, pullover, high-low, and more. However, the talk of the town is the Coolmax Sweaters. Coolmax offers predictable comfort during thermostat wars. The cotton, coolmax fabric is innovative and designed to keep you comfortable by drawing moisture away from your skin. No matter the temperature, Coolmax is the way to go. The next deciding factor is which denim to pair with your Coolmax Sweater. 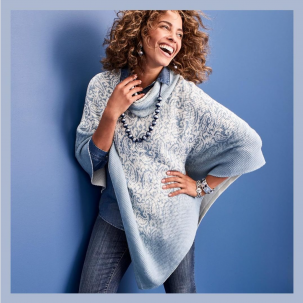 Chico’s has true blues worth swooning over. With tummy-sliming technology and flattering leg shapes – jeggings, slim, straight, boyfriend, and bootcut – there is a fit for everyone. Top off your warm weather look with Chico’s scarves. Offered in a number of prints, the scarves will add color to your look and give you the confidence to take on the cold. Chico’s is located on the north side of The Village Shops in suite 214. For information on finding your perfect look, call the store at 239-261-0253.